The ObEN team had a great time at the 2018 World AI Conference in Shanghai, China — where they were invited by government organizers to join Amazon, Tencent, Google, Baidu, Alibaba, Huawei and other amazing tech companies to share their Personal AI technology at the seven-day conference. A major part of the event was the unveiling of the world’s first celebrity PAI — created for the beautiful and talented Aijia of Chinese mega-girl group SNH48. Aijia herself came to visit ObEN’s booth and greet her adoring fans, who will soon be able to interact with her PAI! Aijia performed a duet with her PAI, in a cover of the hit song You Are So Cute, with the PAI’s singing voice completely generated using their virtual-singer AI technology. Attendees had the opportunity to pose for selfies alongside Aijia’s PAI and their own PAI. You can play the clip above and listen to Aijia’s PAI song. ObEN’s booth was one of the highlights of the event. At WAIC, attendees were treated to two exciting Personal AI experiences, along with previews of upcoming applications and technology updates. While the first three days of the exhibit were reserved for industry and government VIPs, during the public admission period on the last four days of the conference, thousands of people visited their booth each day. They even received visits from government officials interested in trying their AI technology. Lines of people formed, as everyone gathered to create their own Personal AI, selecting custom outfits and hairstyles, and watching the PAI perform expertly choreographed dances for the audience. 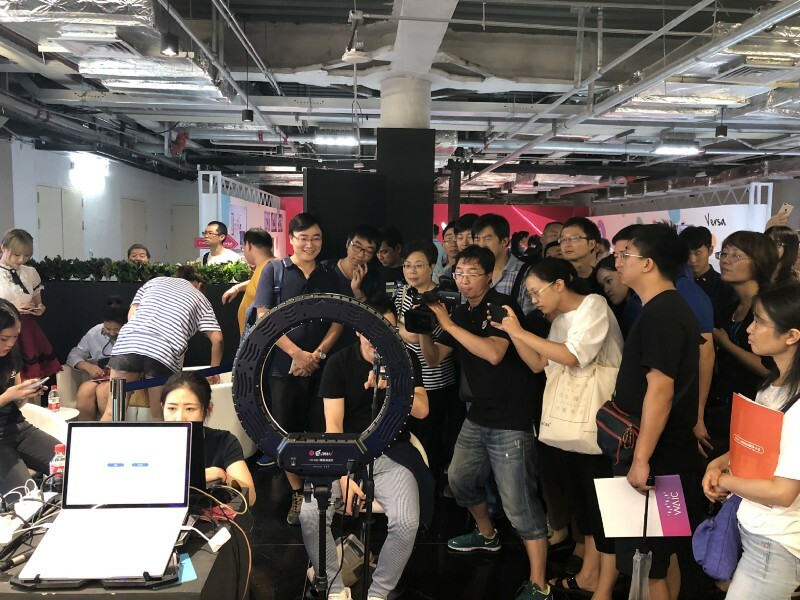 ObEN's booth attracted much media attention, and their COO and co-founder Adam Zheng was very busy smiling for the camera and giving interviews to many of China’s major broadcast channels. One of the best features of ObEN’s booth was the lovable mascot Obot, who could be spotted all over the conference grounds. Obot was a major hit, often followed by an adoring crowd waiting to pose with him and get an ObEN flyer. The ObEN team had a great time in Shanghai and were impressed the amazing technology being developed in China. They would like to thank the city of Shanghai and the government organizers for their warm hospitality, and look forward to next year’s World AI Conference, when they are sure to be back with more and better Personal AI technology! Sign up here to keep up with the latest ObEN news!